The Rivers Team consists of husband and wife duo, Judith and Dwaine Rivers. Together, they are a unique real estate team with deep understanding of both residential and ranch properties. Judith Rivers comes to real estate with over 25 years of residential home-building experience and leadership in the mortgage industry. Judith is dedicated to providing exceptional customer service and a positive, memorable real estate experience for her clients. A native Texan, Dwaine Rivers has a lifetime of experience and understanding of the local area. Previously a national developer and builder, he has gained extensive knowledge in the land development, house construction, marketing, finance and legal fields over the past 30 years. Judith and Dwaine cater to clients seeking acreage and ranch properties, as well as high-end residential real estate. Their rare combination of home staging, ranching expertise and commitment to customer service are assets to both buyers and sellers. Judith Rivers was referred to us by the CEO and President of USAA's world wide real estate division. Judith is known to handle high end properties, although she made us feel as if we were millionaires buying a property in the mid $200k range. My wife and I are retired and moved from Florida to be nearer to our daughter. During our 40 years of marriage we have experienced several Realtors through our buying and selling several residential and commercial properties. In all that time we were never as impressed with their efforts until we met Judith. Judith made us feel like her most important client. She anticipated every issue and solved them . She found us the perfect home and the entire transaction was completed with the utmost professionalism from the first showing through the closing. She is a very caring and conscientious person who has become a valued friend. We would certainly refer anyone to Judith for all your real estate needs. "We stumbled upon Judith Rivers in a real estate magazine that showcased one of her listings. The home and area appealed to us and we did not have an active Realtor at the time, so we took a chance and reached out to her. Even though she did not know us, she took us in immediately. The professionalism she displayed, along with her attentiveness and expertise put my husband and I at ease. She was patient with us and respected our time and wishes. She handled everything with such thorough involvement every step of the way which provided such peace that is needed in the home buying process. I can now call Judith my friend, for she not only did her job in a professional way, she treated us like family which made the move to Boerne all the more welcome. We have been in the home for a little over 7 months, and we absolutely love it." I recently relocated to the Hill Country from Spring, Texas. 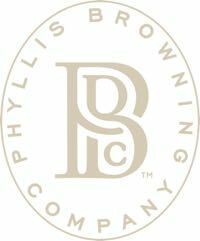 Judith Rivers of Phyllis Browning Company was referred to me by another of her clients. I was living in Spring, working in Houston and buying a home in the Hill Country. Judith and her husband Dwaine comprise the "Rivers Team" through Phyllis Browning. I could not have asked for a better team to ease me through this transition. They were my eyes and ears while home hunting in the Hill Country as it is very difficult to do so long distance. I know they had my best interest at heart by the lengths they went to in making sure I was informed every step of the way through the home hunting and buying process. They truly love what they do and you can feel that in dealing with them.You could not ask for a better team to be on your side in your real estate transaction. Thank you Judith and Dwaine Rivers. Judith Rivers and her team at Phyllis Browning Company did an outstanding job selling our Cordillera Ranch home. Thanks to her guidance and support we were able to choose from multiple offers and craft a deal that worked best for us. We greatly appreciate her patience, hard work and persistence. Very strongly recommend Judith for anyone looking to buy or sell a home in the Boerne or Hill Country area.